LOS ANGELES (May 13, 2016) –The LAGRANT Foundation (TLF) is pleased to announce an exciting new opportunity that will financially support its mission to increase the number of ethnic minorities in the fields of advertising, marketing and public relations. 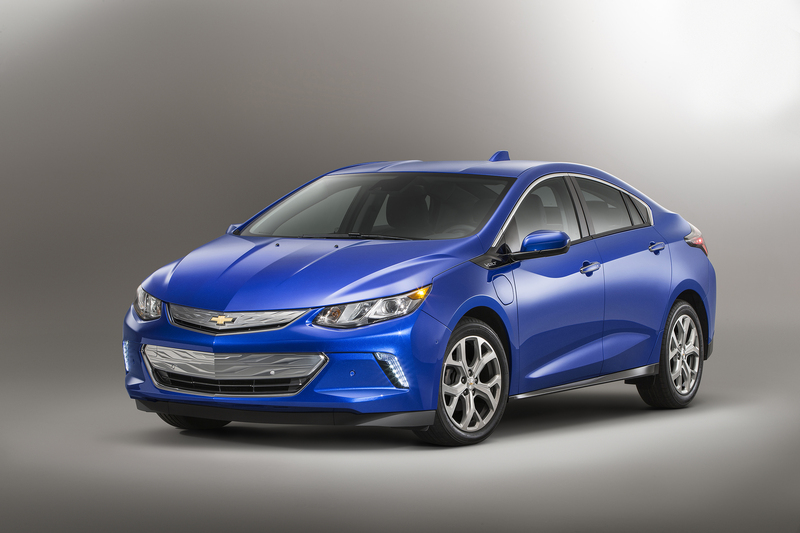 Chevrolet is donating a 2017 Volt for a raffle campaign that starts today. The vehicle will be awarded to one lucky raffle ticket holder. One Hundred percent of the proceeds will be used to support the funding of TLF’s programs, which include scholarships, internships/entry-level jobs, mentorships, as well as career and professional development workshops. Tony Cervone, a TLF board member and senior vice president of Global Communications at General Motors, was instrumental in connecting TLF with the Chevrolet brand. Cervone is a firm believer in TLF’s mission and has served as a mentor and advocate for many students, including Darri’n Hardy, who recently accepted a position with Chevy Communications after a successful internship with the brand. Raffle tickets will be on sale now through November 30, 2016. The winner of the raffle will be selected at a drawing in Los Angeles on December 8, 2016. Since its inception in 1998, The LAGRANT Foundation (TLF) has provided $1.98 million in scholarships to 372 students to continue its mission to increase the number of ethnic minorities in the fields of advertising, marketing and public relations. With the generous support of its major donors and supporters, TLF provides students with career & professional development workshops, scholarships, internships, entry-level positions and mentors to African American/Black, Alaska Native/Native American, Asian American/Pacific Islander and Hispanic/Latino undergraduate and graduate students. Founded in 1911 in Detroit, Chevrolet is now one of the world's largest car brands, doing business in more than 115 countries and selling around 4.8 million cars and trucks a year. Chevrolet provides customers with fuel-efficient vehicles that feature engaging performance, design that makes the heart beat, passive and active safety features and easy-to-use technology, all at a value. More information on Chevrolet models can be found at www.chevrolet.com. ELIGIBILITY: Raffle tickets can be purchased by eligible persons for $20 per ticket. Each Raffle ticket represents one (1) entry into the Raffle drawing. The purchase of a Raffle ticket is necessary to win. Raffle is open only to individuals who are 18 years or older and who have a valid driver’s license. Raffle is not open to employees or immediate family members (spouses, parents, siblings, and children) or members of the same household (whether related or not) of employees of the LAGRANT Foundation (“Sponsor”). All federal, state and local laws and regulations apply. Raffle tickets will be sold from May 1, 2016 to November 30, 2016 or such other date and time as Sponsor may decide in its sole discretion. By entering this Raffle, entrants accept and agree to be bound by these Official Rules and the decisions of Sponsor, which shall be final on all matters. PRIZE: There will be one (1) prize winner selected. The winner will receive a 2017 Chevrolet Volt (“Prize”), provided by Chevrolet. Approximate retail value of the Prize is: $34,000. Prize is non-transferable and non-refundable. The exact color, trim level, features and options of the Prize are at the sole discretion of Chevrolet. Sponsor will not offer any substitutions, cash redemptions, or alternative to the Prize, however Sponsor reserves the right to substitute a vehicle of similar value if the Prize is unavailable for any reason. The Prize winner must take title to the Prize. The Prize shall only be delivered in the continental U.S. at an authorized Chevrolet dealer designated by Sponsor. The Prize will be delivered to an authorized Chevrolet dealer at a city close to where the winner is located. The winner must present adequate personal identification and evidence of legally required automobile insurance. The winner will bear all risk of loss or damage to the Prize after delivery to the specified delivery site. The winner of the Prize shall be solely responsible for all federal, state and local taxes, fees, transportation costs and any other expenses relating to the acquisition and ownership of the Prize as a result of winning the raffle including without limitation to vehicle registration, title and license fees, vehicle transportation and transportation costs, income, sales and other applicable taxes associated with winning, owning and operating the Prize. The winner will receive an IRS Form W-2G reflecting the fair market value of the Prize. All federal income taxes must be paid by the winner prior to the transfer of title to the prize. The Sponsor provides no guarantee or warrantee that the Internal Revenue Service (IRS) or the California Franchise Tax Board will accept the stated value of the prize for the purposes of determining any income tax payable. The winner should consult a professional tax advisor before accepting the Prize. If a winner fails to pay any taxes, costs, fees, payments or other amounts or complete any agreement, form, affidavit, release or other document in full, or otherwise fails to satisfy any requirement for awarding the prize required by Sponsor within the time period set by Sponsor, such winner shall be deemed to have declined his or her Prize and Sponsor will be authorized to award the Prize to another raffle participant within the sole discretion of Sponsor. Winner will be required to sign transfer of title of Prize from Sponsor. In addition, Winner must sign an Affidavit of Eligibility and Liability/Publicity Release within ten (10) days of prize notification or Prize will be forfeited. ENTRY/PARTICIPATION: Starting May 1, 2016, Raffle tickets may be purchased from authorized representatives of Sponsor. Tickets may not be purchased online. All Raffle ticket sales are final, no refunds or exchanges. Tickets will remain on sale until November 30, 2016. No portion of the Raffle ticket price will qualify as a charitable contribution to Sponsor for federal income tax purposes. All net proceeds go directly to support the LAGRANT Foundation, a non-profit 501(c)(3) organization whose mission is to increase the number of ethnic minorities in the fields of advertising, marketing and public relations. It is a violation of federal law to send Raffle tickets or any information related to the Raffle via the federal mail system, and such violations may lead to criminal penalties. PRIZE DRAWING: One (1) winner will be selected and announced from all eligible entries received (tickets sold) during the Raffle promotion period in a random drawing scheduled to be conducted on or about November 30, 2016, in Los Angeles, CA. The one (1) winner will be notified on or about November 30, 2016, by phone and/or email, and the winner’s name may be posted on Sponsor’s website and included in press articles on or about the same date. Only the named entrant on a valid winning Raffle ticket/entry form is eligible to claim the Prize, and such person may be required to provide proof of identification acceptable to the Sponsor. If winner cannot be contacted within five (5) calendar days of first notification attempt, if prize notification is returned as undeliverable, if winner rejects the Prize, or in the event of noncompliance with these Raffle Official Rules, Prize will be forfeited and an alternate winner will be selected from all remaining eligible entries. Upon prize forfeiture, no compensation will be given. ODDS OF WINNING: The odds of winning are dependent on the number of eligible entries received during the promotion period. MISCELLANEOUS: By participating in the Raffle, each entrant agrees that Sponsor, Chevrolet, and their respective parents, subsidiaries, affiliates, directors, officers, governors, owners, employees and agents will have no liability and will be held harmless by the entrant for any liability, loss, injury, or damage to property or to person, including death, due in whole or in part, directly or indirectly, by reason of the acceptance, participation in, possession, acceptance, use or misuse of the prizes or participation in the Raffle, even if caused or contributed to by the negligence of Sponsor or Chevrolet, including without limitation, for any claims based on publicity rights, defamation or invasion of privacy and merchandise delivery. In consideration for being awarded the Prize, the winner agrees and consents, without further authorization, compensation or remuneration of any kind, to the use of his or her name, address (city and state), likeness, photograph, picture, portrait, voice, biographical information and/or any statements made by winner regarding the Raffle or Sponsor in any and all advertising, promotions and other publicity conducted by Sponsor. Sponsor is not responsible if Prize cannot be awarded due to delays or interruptions due to acts of God, acts of war, natural disasters, weather or acts of terrorism. Entrants who do not comply with these Official Rules, or attempt to interfere with this Raffle in any way shall be disqualified. Winner agrees that Sponsor and Chevrolet have neither made nor are responsible or liable for any warranty, representation, or guarantee, express or implied, in fact or in law, relative to the Prize vehicle, including but not limited to its quality, mechanical condition or fitness, except the Prize vehicle does include Chevrolet’s standard vehicle limited warranty as set forth in the vehicle’s owner’s guide. ADDITIONAL TERMS: Sponsor is not responsible for any human error that may occur in the processing of the entries. Mechanically reproduced entries/tickets are not permitted and will be deemed void. Sponsor reserves the right, in their its sole discretion, to disqualify any individual found to be tampering with the entry process or the operation of the Raffle; to be acting in violation of these Official Rules; or to be acting in an unsportsmanlike or disruptive manner or with intent to annoy, abuse, threaten or harass any other person. Chevrolet is in no way held liable nor responsible for raffle and raffle rules. The LAGRANT Foundation (TLF) is solely responsible for conducting sales of raffle tickets, selecting grand prize winner, transferring title of ownership of grand prize to winner and ensuring all federal, state and local taxes, fees, vehicle transportation costs and any other expenses relating to the acquisition and ownership of the grand prize are paid by the winner.